We serve delicious and affordable vegetarian comfort food to our customers and strive to provide a wide range of options for vegetarians to promote healthier choices in food. The restaurant has a soothing ambience that takes you far away from the city crowds and transports you to a quiet food haven. 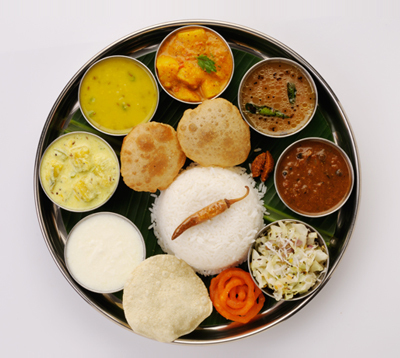 South Indian executive lunch is our specialty!